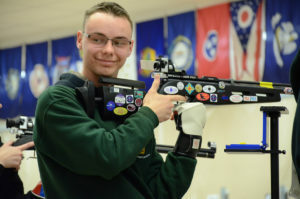 CAMP PERRY, Ohio; ANNISTON, Ala. – The firing line belonged to the girls during the Civilian Marksmanship Program’s (CMP) annual Gary Anderson Invitational (GAI) air rifle event, as they secured all of the podium spots in both the precision and sporter classes. 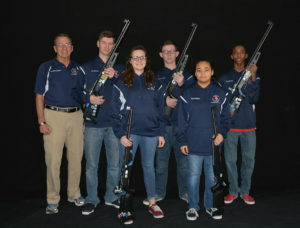 They also represented seven of the eight Finals athletes in the sporter class and maintained four finalist spots in the precision match before representing seven of the eight winning marksmen in the team event – with one skillful gentleman also offering his talents towards their victory. 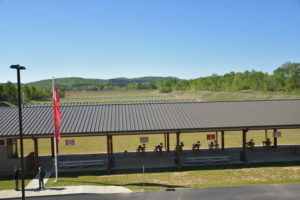 The event took place at both the CMP South Competition Center in Anniston, AL (pictured here), and the Gary Anderson CMP Competition Center in Port Clinton, Ohio. 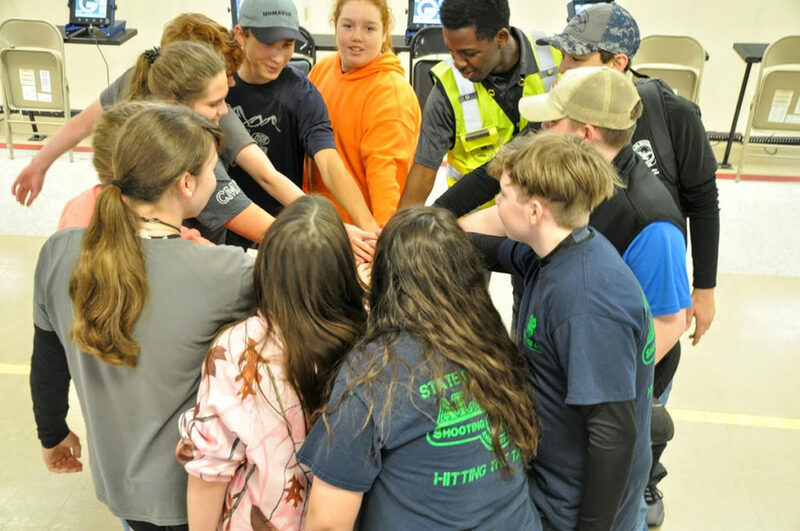 A total of 363 junior athletes from around the country trekked north or south to the Gary Anderson CMP Competition Center in Ohio and the CMP South Competition Center in Anniston, Ala., Nov. 30 and Dec. 1 to compete in the match. 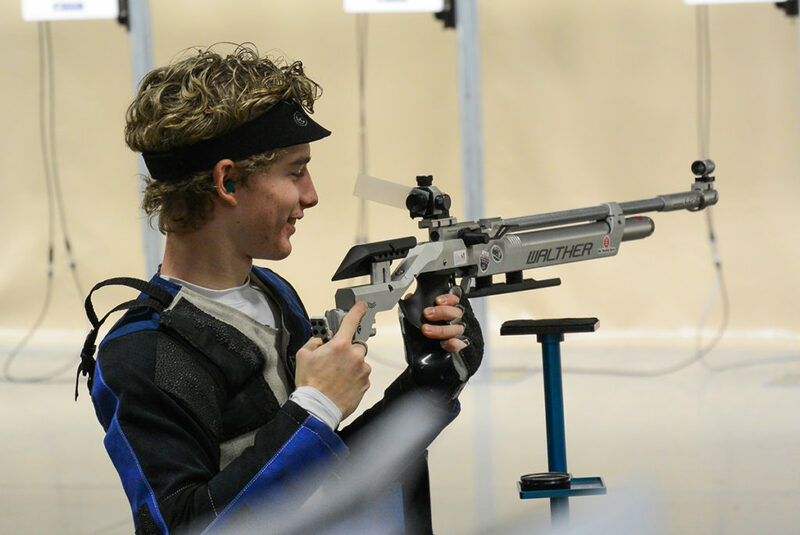 The 3x20 aggregate air rifle event allows competitors to go “shoulder-to-shoulder,” even while miles apart, by combining scores from both locations to determine overall winners. The ladies from the Demmer Center Jr. Shooters team collected GAI Achievement Awards for firing scores within the top 40% of all competitors. 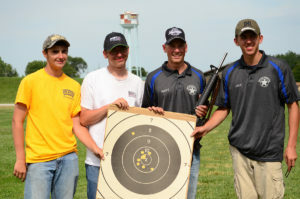 The Demmer Center Jr. Shooters team took second place overall in the precision match and a Demmer member also took second in the individual matchup. In the precision individual match, Katrina Demerle, 14, of the Fairfield Sportsmen’s Association in Ohio, fired an aggregate score (3x20 plus Final) of 690.1 to claim the overall win. 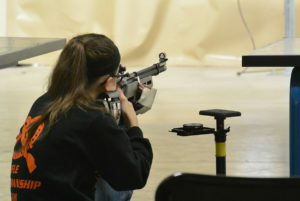 Following in second was Natalie Perrin, 16, of the Demmer Center Jr. Shooters from Michigan, with a score of 688.1. Emily Buck, 13, of the Shelby County Shooting Sports Association (SCSSA) from in Alabama, rounded out the Top 3, with her score of 685.1. 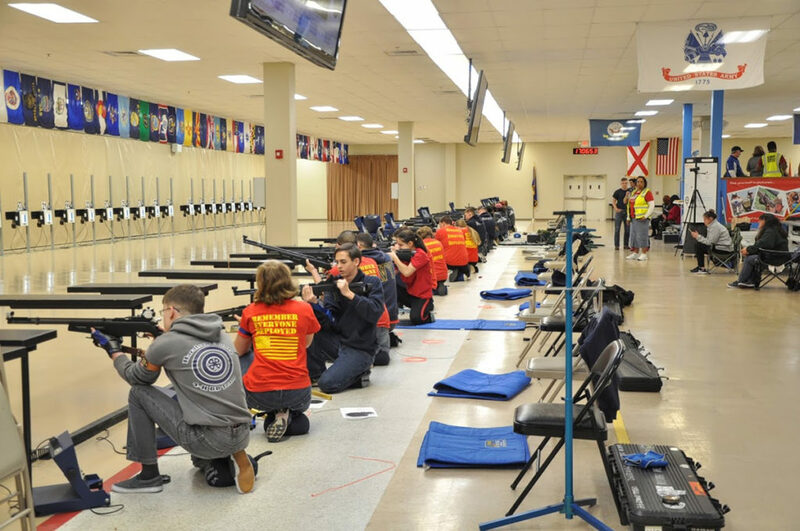 Over 360 junior athletes competed in Ohio and Alabama in the air rifle event. 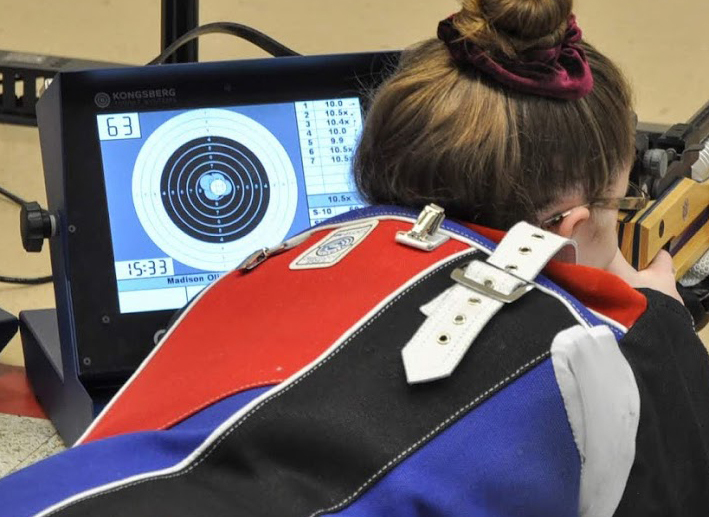 All Top 3 athletes in the sporter class also posted outstanding scores, with Nicole Carvagno, 16, of Volunteer High School in Tennessee, snatching the overall win with a score of 649.9. Trailing just behind Carvagno in second was Bailey Hoenig, 17, of Zion Benton High School in Illinois, with 648.4. Jaden-Ann Fraser, 16, also of Volunteer High School, earned the third place position with a score of 646.3. All shots are instantly displayed on monitors beside each athlete on the firing line. A team competition was held concurrently during the event, combining the individual scores of a four-person team. Additionally, teams were ranked as either Scholastic or Club, based on affiliation. The individual 3X20 scores fired by the four members on each team was calculated for team awards. SCSSA 1 led the field of over 50 precision teams in the competition. Members Emily Buck, Maggie and Claire Vonderau, and Jakob Hill reached a combined score of 2320-143x for the win. 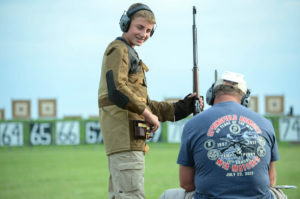 Demmer Center Jr. Shooters landed in second in the match, as Hawkeyes Precision out of Alabama took third. The teams were also the Top 3 Club teams of the event. 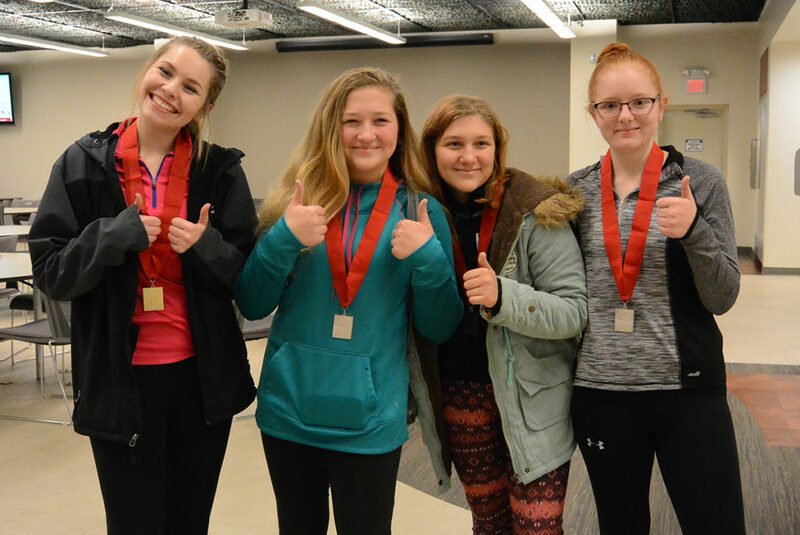 In sporter, Volunteer High School members Nicole Carvagno, Jaden-Ann Fraser, Maritsa Wolfe and Olivia Cattrell tallied a score of 2195-70x to lead overall. Zion Benton took the second place spot, followed by South Panola from Mississippi in third. The trio were the leading Scholastic teams of the GAI. Over 20 teams competed in the sporter team matchup. 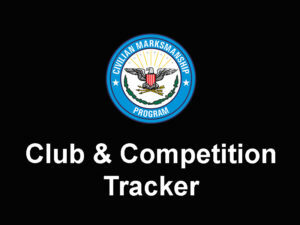 For a complete list of results, visit https://ct.thecmp.org/app/v1/index.php?do=match&task=edit&tab=results&match=17444. Photos can be found on the CMP Zenfolio page at https://cmp1.zenfolio.com/p521555972. 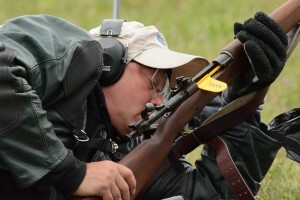 The Gary Anderson Invitational is a 3x20 match, where competitors fire from prone, standing and kneeling positions. 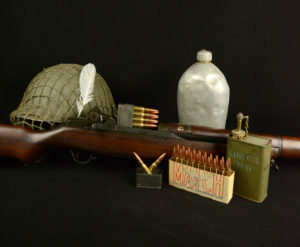 The Gary Anderson Invitational is a three-position air rifle tournament that follows the 3x20 course of fire. Each shooter fires 20 record shots from prone, standing and kneeling positions, with the Top 8 shooters advancing to the final. 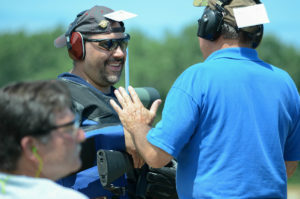 Winners are determined from overall scores comprised from competitors at the CMP Gary Anderson Competition Center located at Camp Perry and CMP South competitors in Anniston (3x20 plus Final scores). Schools, junior clubs and individuals are welcome to participate in the annual competition. Mr. Anderson is a two-time Olympic gold medalist and also holds seven world championships, six world records and 16 national championships. He has won more Olympic and world championship three-position titles than any other American in history. In 1999, Anderson began a 10-year reign as Director of Civilian Marksmanship and retired in December 2009. 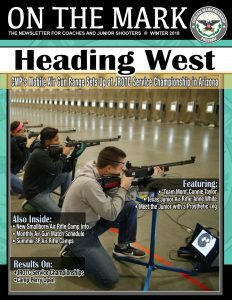 Today, Anderson serves as DCM Emeritus and remains a mentor for new and experienced, old and young shooters around the country through his articles and classes. 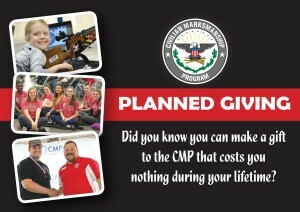 Anderson’s advice is regularly featured in CMP’s junior magazine, On The Mark, and throughout the year during the clinics he leads at CMP events. In 2014, the CMP North Competition Center was renamed the Gary Anderson CMP Competition Center, in honor of his years of dedication to the sport.